I just wanted to post about a small soccer club on the east side. 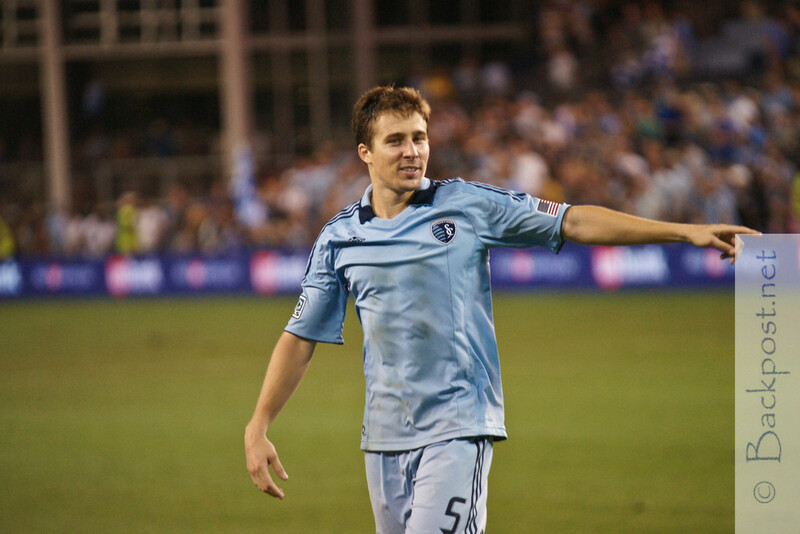 It has been based out of Raytown Soccer Club but is moving to card out of Lees Summit. The head coach is Dave Vickers, a humongous (looks like he is 8 feet tall) man that loves coaching. Currently the club has just two teams, U-10 and U-13 girls. 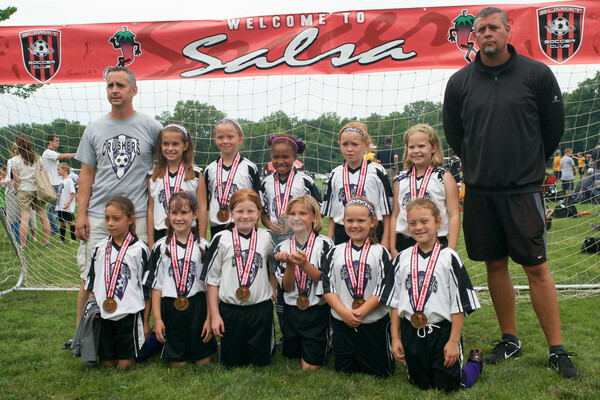 Dave started coaching competitive soccer 16 years ago when his daughter’s team needed a coach that got off their chair and hasn’t slowed down since. The club is the Crushers. A little minnow of a club that routinely beats the big clubs. I am most familiar with the U-10 team since that is the team my daughter is on. About a year ago this time I really needed a team for my daughter to play on because the team we were on (a boy’s team) was just not going to work out any longer. We went to a couple tryouts with other teams that did not work out. One tryout with the Crushers and Coach Vickers recognized that not only my daughter needed a place to practice and play but he saw a talent in her that is just starting to really blossom a year later. My daughter is one of the youngest on the team, a full year behind the ‘veterans’ of the team. While she has struggled along with some of the other young ones as we played the best clubs in the Metro League, the coaches never gave up on them. All of the younger players are starting to come into their own now. They may not be the best players on the team nor in the league but they have all made great strides and it is fun to watch. The U-9 Crusher's won their division this last weekend. While it is always more about developing the players to be their best, the team has had success on the field as well. The U-9 version of the team carded in two levels, winning one division and finishing well in the other. In the last three tournaments they have won two of them and lost in the championship game of the other one. The one tournament runner-up came at the hands (feet?) 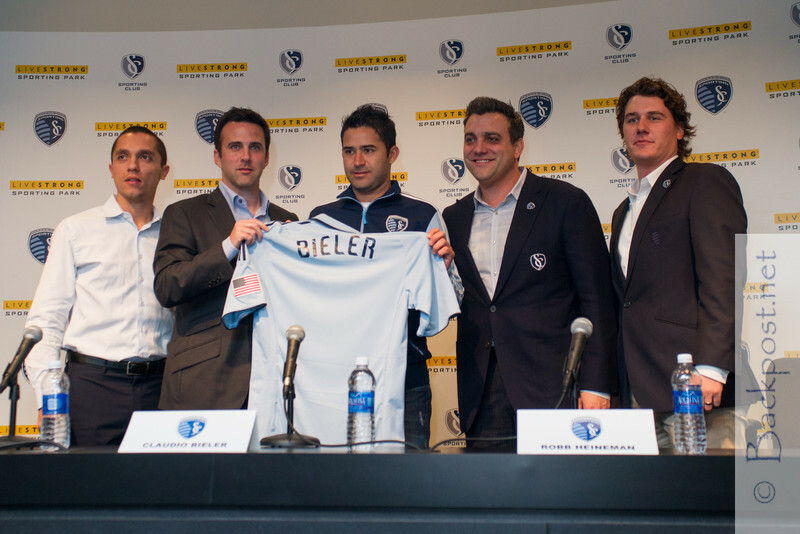 of the uber-funded, super club from St. Louis. Even though we lost that final, our girls gave them a good match and came away with a great experience. Coach Vickers and his assistant, Coach Scott Roller are both good coaches. They complement each other well. They do not charge any coaches fees; they do it because it needs to be done and because they love it. I do not know all the numbers but I do know that most of Coach Vicker's girls have went on to start for their High Schools and most have played in college as well. As more clubs merge and try to become super clubs, it's nice to know that there are still little clubs with coaches that care about coaching, about developing players. Not about titles or money. If you know of a girl in the U-10 or U-13 range that needs a good team, a good coach, bring them to tryouts this week. If enough true U-9’s come out maybe there will be a third team. Slide show of images from the Comets 18 - 9 win over Baltimore. 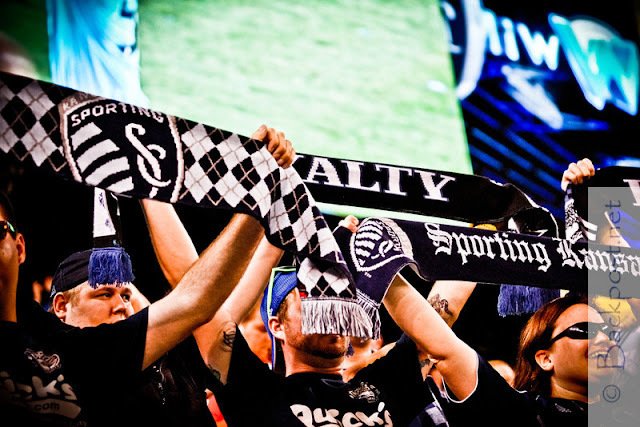 Sagu deserves a lot of credit, he used a sense of humor and good sportsmanship to talk with fans and even the Cauldron guys were paying him respect before it was all over. 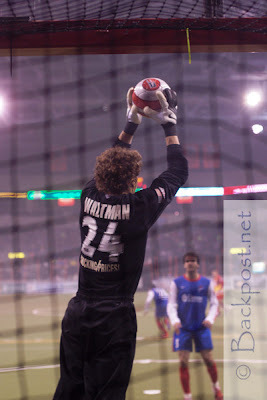 That is expected of the home goalie (and Danny Waltman does that well) but not the visitors. Way to go Sagu. I rarely post photos on this blog that are not mine but these are an exception. Gary Rohman is a fellow photographer that I sometimes work with and a friend. He is the team photographer for Sporting KC so many of the photos you see used in ads, posters and the website are Gary's. In addition to being a very good commercial photographer, he shoots the games and has captured some great shots. Last year he started testing a PhotoBall for use from inside the goals. While there are already some cameras used in goals this is a little different. The design he came up with uses a full size DSLR and wide angle lens. Using the DSLR and lens allows him to get some great images that would not be possible with some of the smaller cameras. He tested this at a Sporting KC practice and let Kei Kamara take shots on it and it survived. Recently he tested it at two Missouri Comets games and it survived direct hits in each game. Gary agreed to let me share some images form those two games. Let me know what you think and if I should get some more shots to share. A couple photos of Michael Thomas. 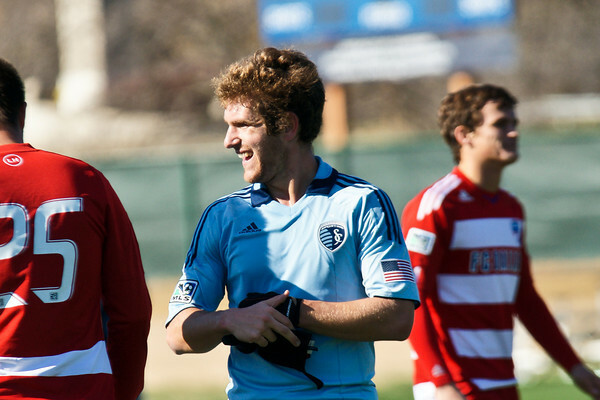 Sporting KC acquired the right of first refusal to Thomas earlier today for a fourth round Supplemental Draft pick. Presumably he will be signed soon. 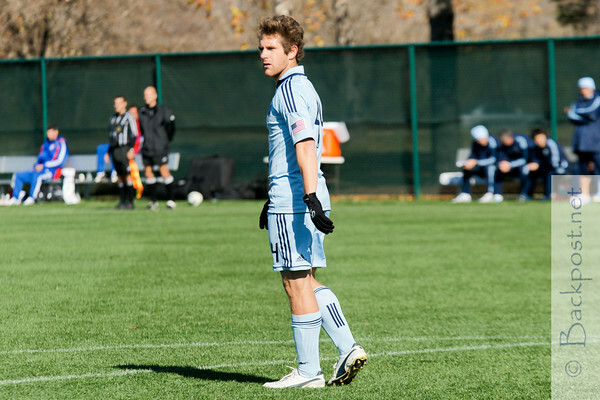 Last year Thomas trained with Sporting KC and even made an appearance in a reserve match as the often seen but rarely named "Trialist 1". 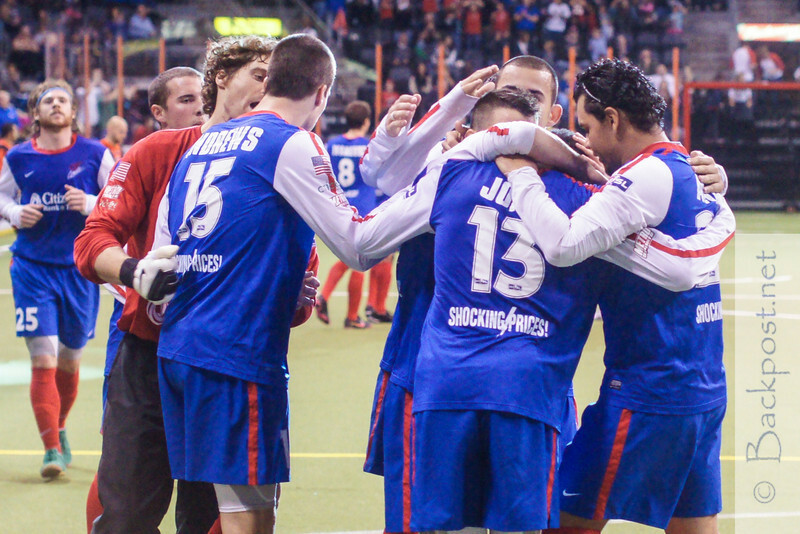 While the final score was not what the Comets were looking for, the game was still a success. Over 8,200 tickets sold and a bunch of fans got to see a traditional back and forth Comets-Wings rivalry game. Throw in a fun reunion game, retro jersey's auctioned off for charity and the presentation of the Turnpike Trophy to the Comets, it all added up to a fun evening.